The movie telling the story of America’s most prolific serial killer has finally gotten a distribution deal, and will be released in theaters. 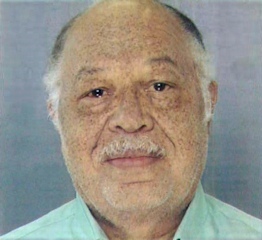 Kermit Gosnell operated a house of horrors in Philadelphia, Pennsylvania, where women were butchered, maimed, and killed, babies were delivered alive and then killed afterwards, and the abortion facility was kept in squalid, decrepit condition. In 2013, Gosnell was convicted of the murders of three infants, as well as of the involuntary manslaughter of one of his patients who received a drug overdose and died. He is serving a life sentence without the possibility of parole. While Gosnell was only convicted of three murders, it is alleged and assumed that he murdered countless more babies. The grand jury report for Gosnell’s trial is the inspiration and source material for the movie, and in addition to covering Gosnell’s atrocities and his conviction, the movie will also explore the lack of media attention given to the case. 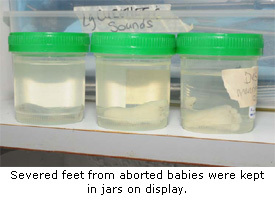 In addition to killing innocent babies born alive after late-term abortions, Gosnell would display their body parts in glass jars, or place their corpses in the freezer. Gosnell’s case got very little initial media attention, but the story ended up making nationwide headlines regardless, after columnist Kirsten Powers blasted mainstream media for ignoring the story. One reporter even called it a “local crime” story when asked why she wasn’t covering it. Pro-lifers fought to bring attention to the atrocities Gosnell committed, and after a historic crowdfunding campaign, filmmakers were able to raise over $2 million to produce and film a movie about Gosnell and his trial. 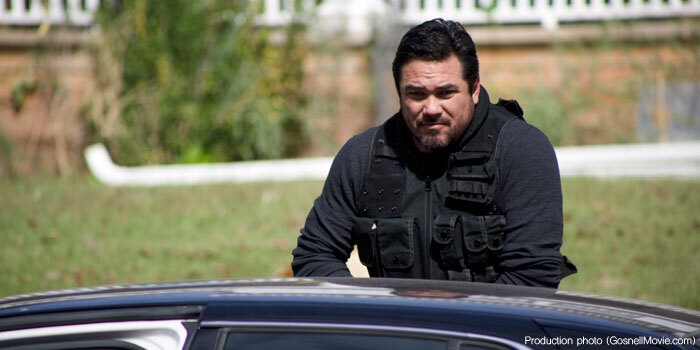 However, after filming the movie, which stars movie and television star Dean Cain, the filmmakers had difficulty finding a distributor to show the film. The movie did eventually land a distribution deal, with GVN Releasing, but there were more obstacles ahead. Jeffrey Minehart, the judge at Gosnell’s trial, sued to block the release of film out of fear that he would be portrayed as part of “Philadelphia’s liberal corrupt governmen.t” The lawsuit claimed that the producers exploited “the morally divisive issue of abortion and the notoriety of the horrific Kermit Gosnell trial, which involved a Philadelphia abortion doctor who was found guilty of grisly mass murders of fully developed in-vitro infants, some of whom were born alive”. The suit has now been settled, so the distribution of the movie will be able to move forward. The filmmakers released a video expressing their excitement that the movie will finally be in theaters, with a release date of October 12, 2018. After its theatrical run, the movie will be released on Blu-Ray, DVD, and on streaming sites. The movie will also examine how Gosnell was able to get away with his crime spree for so long, thanks to the failure of multiple Philadelphia departments, which repeatedly looked the other way, even as complaints were filed for decades. Officials even inspected his facility and saw the disgusting condition it was in, and did nothing; they did nothing when a woman died and other women were butchered or infected with sexually transmitted diseases. They also took no action when he was found to be committing illegal late-term abortions. Gosnell could have been stopped years earlier, but it’s believed that he was protected because of the politics surrounding abortion, and because his patients were primarily poor and minority women. For more information about the Gosnell movie, visit www.gosnellmovie.com.